Wow! Absolutely fabulous views from Chinaman x2019;s Hat to Kaneohe Bay! This 5-bedroom 4 bath home offers plenty of room for extended family! Generous x201C;great room x201D; with expansive ocean-mountain views and room to relax, dine and entertain. Unique round-house architecture maximizes the ocean views. Welcoming entry, light and bright kitchen and garden deck are offer an easy lifestyle. Large storage/workshop area off the 2-car carport. Leased 36 panel Photovoltaic system to keep electricity costs down. (20 year lease paid in advance.) Close to Heeia Boat Harbor, Windward Mall, shopping, dining and easy commute to Likelike, H-3 or Pali Hwy. Home warranty included. Tax records differ. Subject to tenant lease June 30, 2019. Immaculate executive home in desirable Alii Shores. Great curb appeal - architect designed additions and custom concrete driveway set the tone for this one of a kind home. Lovely indoor/outdoor ambiance with Japanese garden off foyer and kitchen. Screened-in garden room with soaring ceilings overlooking large landscaped level back yard with stunning Koolau Mountain backdrop. Tastefully remodeled kitchen and baths, new carpeting in bedrooms, tile and stained concrete floors for easy care. Neighborhood features underground utilities, sidewalks, wide streets, and a convenient location, walking distance to WW Mall, shops and restaurants. See slide show for additional photos. This very well maintained home in Pikoiloa has been used as a licensed care home for several years. Very large xD; xA;interior with extra wide hallways and doorways. Second floor has 2 bedrooms / bath and living area that was xD; xA;used by caregivers. Some mountain view from the upper level. Covered lanai for entertaining. Nice storage xD; xA;areas located in the yard. Photovoltaic system for low electric bills. Many possibilities for this large versatile xD; xA;home in Kaneohe. Tax Assessed value is for 2019 - monthly taxes are based on 2018 values. Lowest priced home in highly-coveted Haiku Plantations. One acre of land that is largely level and slopes down to a stream. You can have it all, country living on a large estate in a gated community, but just 26 minutes to downtown Honolulu! The existing custom home has grand columns on the exterior and the split-level floor plan features 3 bedrooms/2 bathrooms upstairs and 1 bedroom/1 bathroom down. The double-heighted living room features a fireplace and floor-to-ceiling windows that look out to the grassy private yard beyond. The house finishes need updating and that x2019;s reflected in the pricing, but the bones appear to be solid! Trust sale and may require court approval. 4/14 Open House Cancelled! EXC cond. modern construction home w/ all the upgrades, such as stainless appliances, cherry cabinets, ceramic tile & laminate flooring. A bedroom and full bathroom on the main floor gives in-laws/guests their own space. An upstairs den w/ closet can be a 5th bedroom- just add a door. Full laundry and storage room! Keeping cool is easy & efficient w/ 6 ceiling fans & 5 split ACs! A grassy fenced yard makes life w/ pets and outdoor entertaining easy. 2 car garage w/ storage & a large driveway make parking cars or a boat easy. 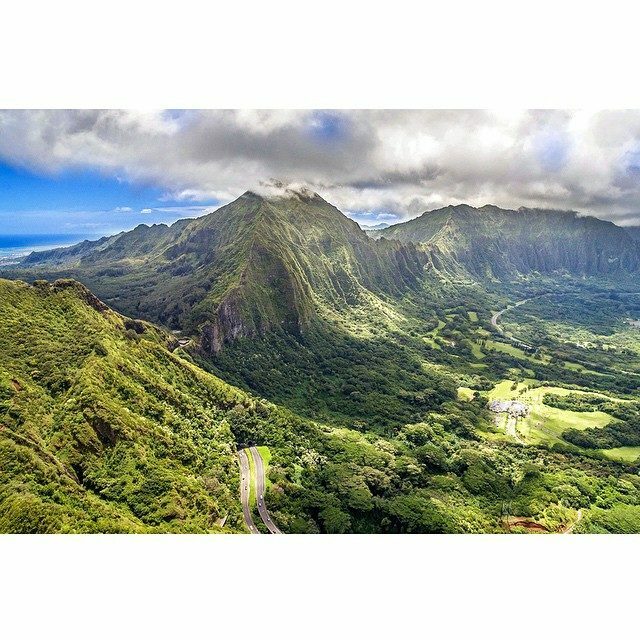 Near the beautiful Ko'olau Mountains and Ho'omaluhia Botanical Gardens, with easy access to H-3, Likelike & Pali. Convenient to parks, beaches, golf courses, restaurants, shopping, military bases, and community events at HPU and WCC.